Remaining at home for as long as possible is a priority for many older adults, but the challenges associated with providing for yourself can be overwhelming. From performing basic tasks such as cooking and cleaning to getting transportation to doctor appointments, there are a number of potential needs that must be addressed. Whether you are taking care of a family member or friend or require assistance for yourself, it is comforting to know that there are a variety of services available to help meet your needs. Medicaid and community care programs throughout the New York City area are abundant, and can provide the care and support programs necessary to maintain your independence. 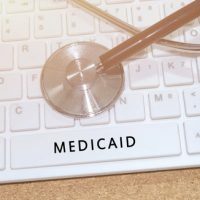 Medicaid is an insurance program that can help pay your medical expenses and long term care costs, but you are required to meet certain requirements. In addition to age and disability, Medicaid also looks at your income and resources. Owning property or assets, such as bank accounts or stocks, could limit your eligibility, while at the same time, paying out of pocket for services or using your existing insurance coverage can quickly eat up any resources you have. Medical devices, including specialized chairs, ramps, and other mobility and health aids. Additional health services to address issues that are common with aging, such as vision and hearing loss. In addition to the above, there are programs that connect seniors with volunteer opportunities in our, which allow you to utilize your talents while performing vital services. At Cavallo & Cavallo, we understand the challenges that come with aging, and we work hard to ensure our clients are able to take advantage of the benefits and resources available. Our Medicaid attorneys can help you plan for the future, while always ensuring your best interests are protected. We serve the Bronx and the surroundings areas; contact our Medicaid and nursing home attorneys today to request a consultation.